This past week Teena was in Cuba with her sister, Sarah. She had a small bar fridge in her room with a couple of complimentary cans of Cristal in it so she wrapped them up and brought them home for me. Cristal is not available in Canada so it was quite exciting to get these. Cristal is brewed in Holguin, at the eastern end of Cuba place where Christopher Columbus landed in 1492, by Cerveceria Bucanero S.A. 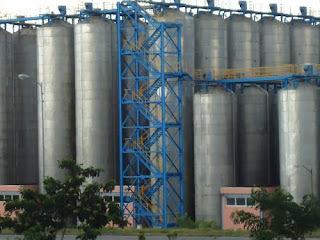 The brewery was built in the late 1980s and Holguin was chosen as the site as it is supposed to have the best well water in Cuba. Cristal holds 80% of the Cuban beer market. The can lists the ingredients as water, malted barley, sugar and hops. It'll be interesting to see how this works out. The beer pours a very light faded yellow colour with a white head. The head dissipated quickly and there was no detectable aroma. This is a very light tasting beer, which I would have guessed to have been a lite 4% beer instead of having 4.9% APV. It starts off very watery in mouth feel but then this nice little hop bitterness comes through in the finish. Like a typical lager, that bitterness falls away quickly. Actually, this is a nice refreshing beer. I enjoyed the bit of bitterness at the end. Teena told me she didn't like the bitter finish so switched to Becks instead. If I was in Cuba, this would be the beer I would be drinking.